BlogHome Blog Announcements, Headlines, Latest News, Newswire Our own Nitish, does it again!! Cricket Canada is basking in the glory of inaugural GT20, being a hit. Another one comes from our very own Canadian cricketer Nitish Kumar. Nitish Kumar’s commendable 46 runs off 23 balls led to the victory of Toronto Nationals. 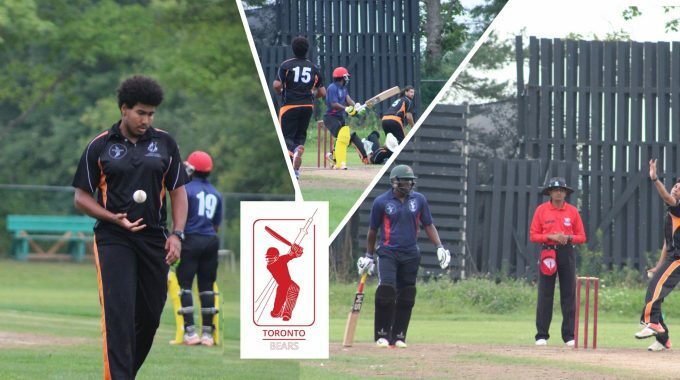 Torontoites witnessed his great batting display on Sunday in the match between Toronto Nationals and Montreal Tigers at Global T20 being played at Maple Leaf Cricket Club. Nitish also scored a quick 55 runs of 37 balls in the second game for Toronto Nationals but that was for a losing cause to Edmonton Royals. Toronto Nationals won the toss and elected to field. 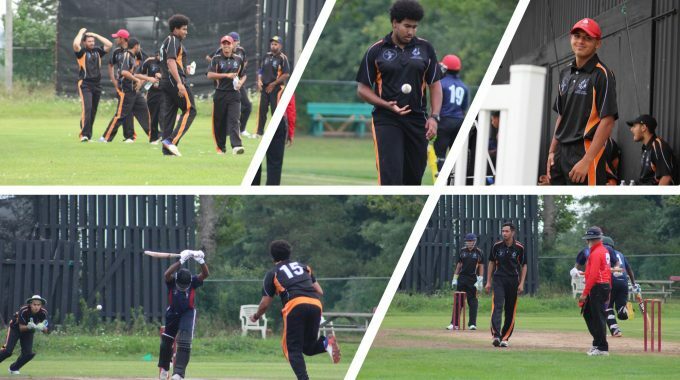 The decision turned fruitful leading to the victory for Toronto nationals by 1 wicket. Nitish’s awesome batting with maximum 6’s of the match was truly amazing. He gracefully earned his title for Man of the Match. 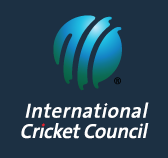 Marquee players in Toronto nationals include the likes of Steve Smith, Daren Sammy, Kieron Pollard, Kamran Akmal, Johnson Charles, Anton Devcich and high profile, former Ireland and CWI coach Phil Simmons. Nitish is a proud story of Canadian Cricket. 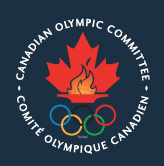 A 24-year-old Canadian, well supported and guided by Cricket Canada. An allrounder, a right-handed batsman and a useful off spin bowler, placed rightly as the captain of the Canada’s National Team. A strong, passionate and humble character comes out of a struggling past. Nitish lost his father at an age of 11 in an untoward incident . Cricket Canada took the complete onus of polishing this young cricketer in the making. Right from his studies to his social well being was Cricket Canada’s initiative. 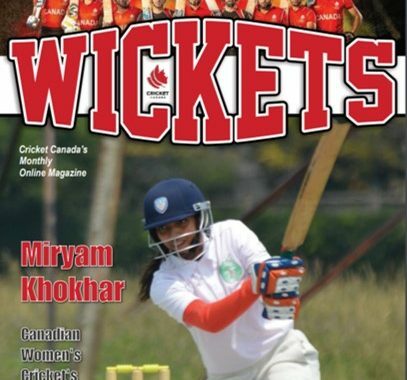 Nitish also represented Cricket Canada at the 2011 ICC World Cup in India, also recently led the national Team qualified for ICC Division 2 by finishing second in the ICC Division 3 tournament. Popularly called as Ronnie and Tendulkar of Canadian Cricket. Another shinning star that adds to the glory of Cricket Canada is Nikhil Dutta. This right arm off break ‘mystery’ bowler also plays for Toronto Nationals. Nikhil is another gem of Canadian Cricket. Represented Canada in Under 15, Under 19 National Teams and now is a regular for the senior National Team. Nikhil along with Nitish also represented Canada when the national Team qualified for ICC Division 2 by finishing second in the ICC Division 3 tournament, recently. Popularly called as Nick. 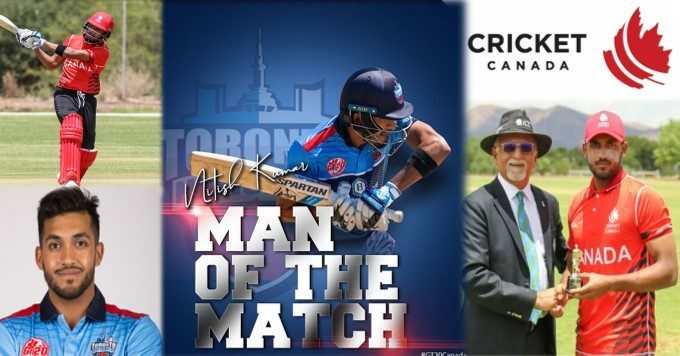 Nikhil performed amazingly well when Canada defended 247 against Namibia to claim third place in the WCL Division Two and secured the Man of the Match as well.